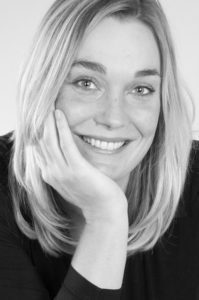 Margriet founded the company in 2011. She has lived and worked in the Basel area for several years and enjoys the diversity of the region in terms of people, culture and landscape. From an early age on Margriet has always shown curiosity for different cultures, a variety of topics, always on the outlook for learning opportunities and experience. This open outlook to the world was facilitated by her international upbringing, in Europe, Asia and Africa. It was in her early twenties, she decided to dedicate her professional life to organisational development in a wider scope. After having successfully passed her degree in Business Administration she continued studying Sociology. It was during these studies she developed her passion for the topics of Human-Human and Human-Technology interaction. With support from her mentors she was able to further explore these fields theoretically as well as practically in South Africa from 2004 onwards. Education and training have been at the core of her professional life ever since and her presentation and training skills were further specialised in The Netherlands, Spain and Switzerland. Margriet has trained hundreds of people in Human Performance, Human Factors and Safety related topics. Her unique approach to learning have provoked much positive feedback from people with different backgrounds and at different levels. It is much less the syllabus, but it is in her approach that makes a difference to an organisation: personal and professional with attention to the people and their learning outcome.